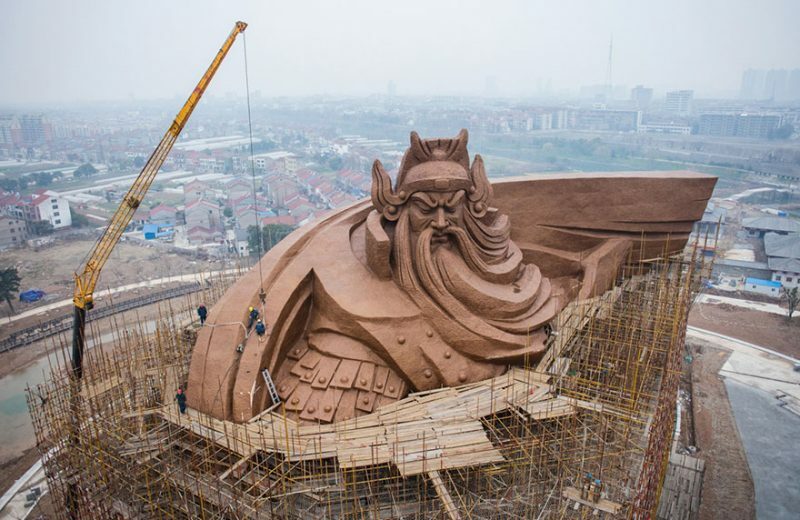 General Guan Yu lived during China’s turbulent Three Kingdoms period and is a character of Chinese classical novel Three Kingdoms. 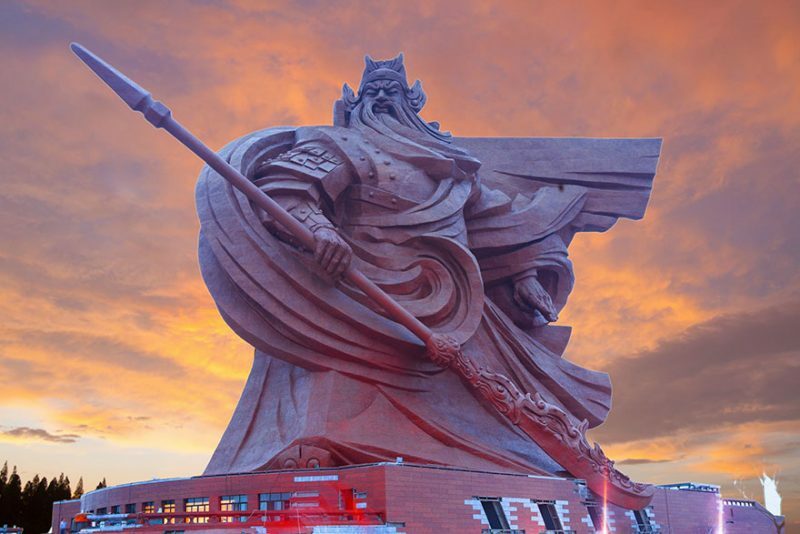 The worship of Guan Yu is popular In Asian culture, his unique character is a mixture of unexcelled pride, astonishing faithfulness and marvelous martial spirit that makes him to be the Avatar of Brotherhood, Loyalty, Protection and Honor, and the God of War. 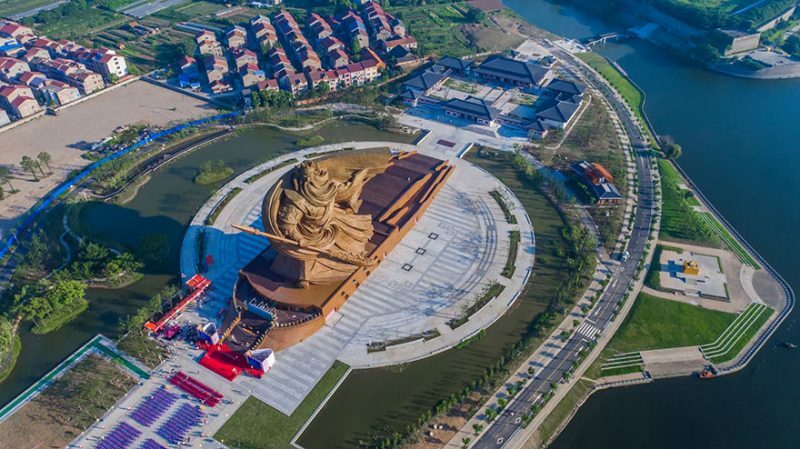 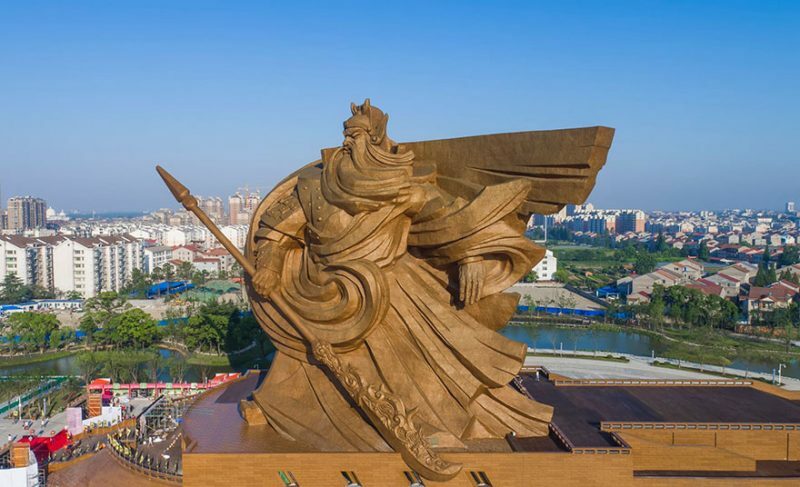 This impressive monument of Guan Yu was designed by Han Meilin, a renowned artist known for his design of the 2008 Beijing Olympics mascots, which has just been unveiled in Guan Yu Park in Jingzhou, China. 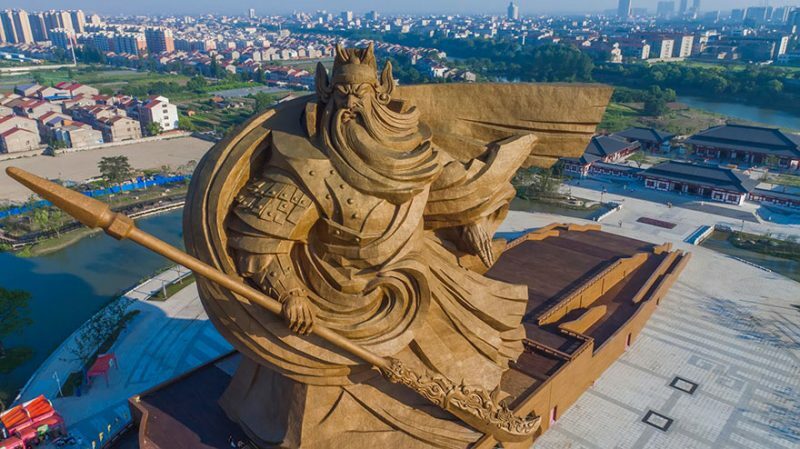 The giant statue is about 58 metres (190ft) height and weighing over 1,320 tons, contains over 4k strips of bronze, the weapon he holds is called Green Dragon Crescent Blade, as a part of the shape, which weighs 136 tons. 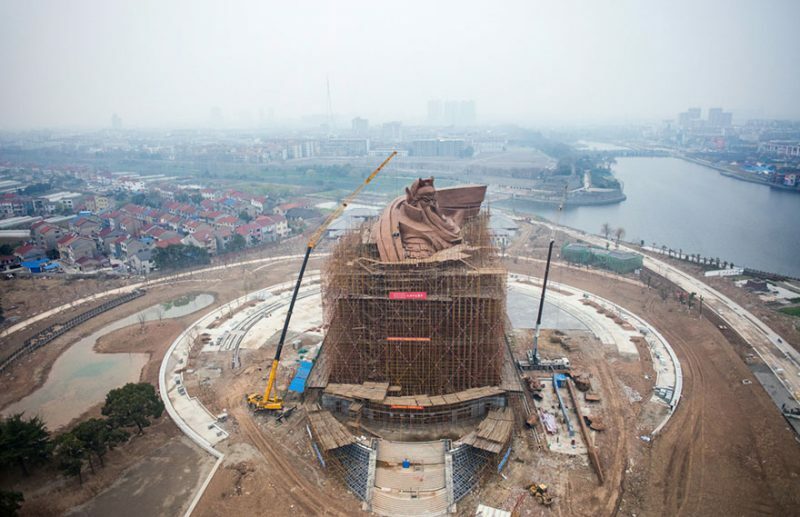 Inside the monument there’s a museum of 8k square metres. 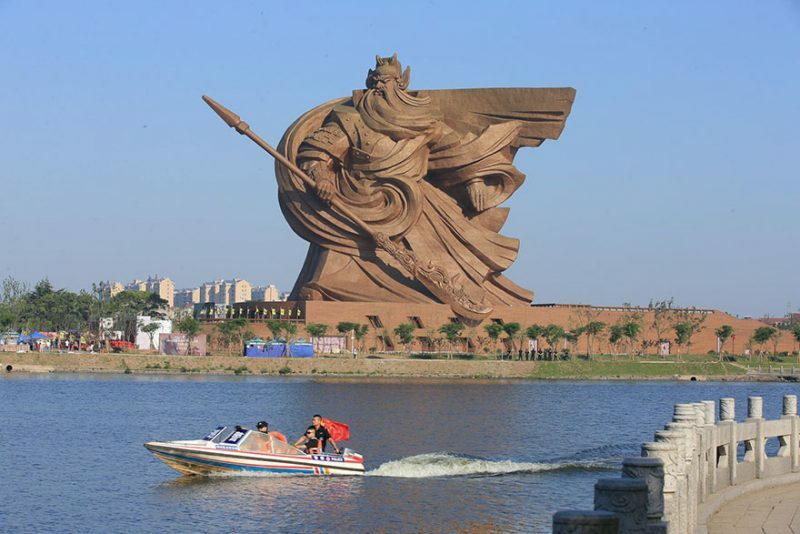 ← Are these different species of animals sisters and brothers?